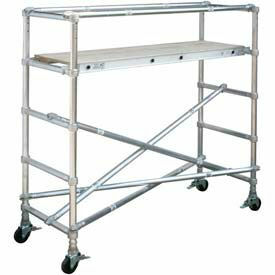 Werner® Aluminum Stage Platforms Are Used For A Variety Of Applications Requiring Higher Elevations. 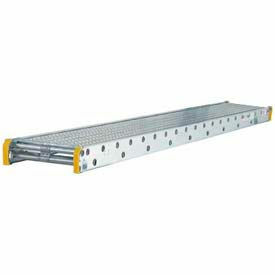 Werner® Aluminum Stage Platforms are made of aluminum for long lasting durability. Available in a variety of styles, lengths and other specifications to meet job requirements. Styles are 1-Person, 2-Person and 3-Person. Color finish is Gray. Sizes range from 8 ft. to 39 ft... Capacities are 250 lbs, 500 lbs and 750 lbs.